By choosing Coombs Family Farms products, you’re helping to sow the seeds for a healthier, more sustainable society. And that’s no drop in the bucket. Enjoying organic maple is now more fun (and less messy) than ever! 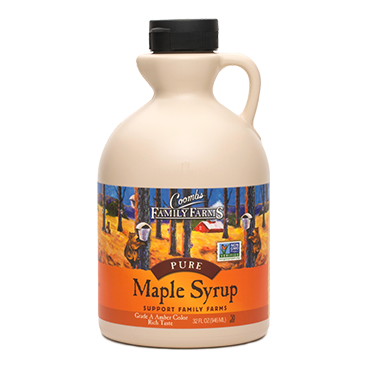 Just give this pure maple syrup a spray – it’s perfect for parents, kids, and cooks. It Takes Roughly 40 Gallons of Sap to Make 1 Gallon of Maple Syrup. Our organic maple is smooth and sweet with layers of subtle complementary flavor notes and a deep amber color reminiscent of fine aged bourbon. Maple sap fresh out of the tree is as clear as a glass of water. It’s only during the boiling process that the sap begins to thicken and darken. 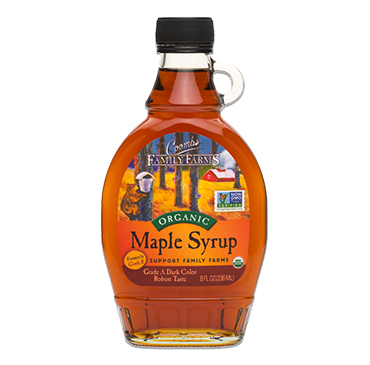 Like wine or coffee, maple offers a wide variety of flavor notes and colors, from the early season Golden Color, Delicate Taste maple syrup that we used to call "Fancy" to the stronger flavor of Dark Color, Robust Taste maple syrup chefs find perfect for their recipes. A tree takes approximately 40 years to be big enough to tap for maple syrup. In order to get those massive quantities of maple sap, you have to start with a mature sugar maple tree, and that takes about 40 years. Anything younger than that just won’t work very well. 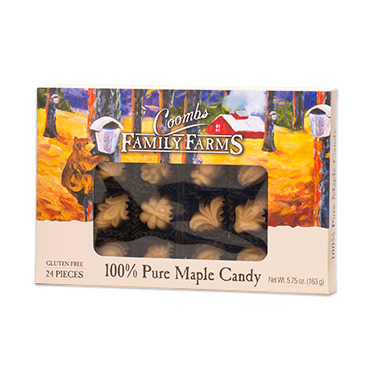 Our pure maple candy is sweet, delicious and made according to the same family recipe that we perfected back in 1925. Maple candy and maple butter (cream) are made of pure maple syrup. The difference is in the temperature the syrup is boiled, the cooling process and the stirring process. 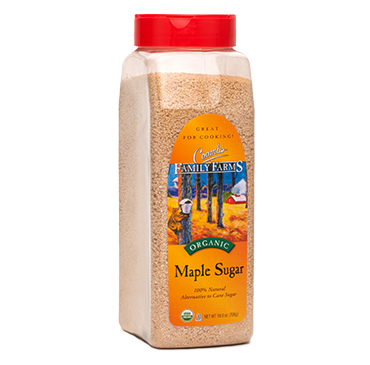 Organic maple sugar is the secret ingredient for adding a touch of unique character, flavor and sweetness to your favorite foods and drinks. Sweet but interesting, and not as sweet as conventional sugar. The more leaves on a maple tree’s crown, the sweeter the sap. It’s more important to have more leaves per acre than more trees per acre to improve one’s production.